The Nebraska Council for Corporations is at it again. Last week I received a letter from the Nebraska Council for Corporations addressed to the registered office of the Nebraska corporation we use as a registered agent for entities formed by Knudsen Berkheimer. The letter and accompanying form appeared in a green envelope with the legend “THIS IS NOT A GOVERNMENT DOCUMENT” in bold on the outside of the envelope. This is a repeat of a solicitation that happened about two years ago. The Nebraska Council for Corporations is not affiliated with the Nebraska Secretary of State’s office and if you carefully read the instructions for the annual records solicitation, the Council specifically states that is in not affiliated with any governmental agency. 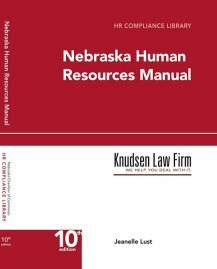 In fact, the instructions conclude with a note that the preparation of the annual corporate records by the Council does not satisfy the biennial report required under Nebraska law. The form is very similar to the biennial report form used by the Nebraska Secretary of State’s office to collect the biennial occupation tax for corporations. There are some distinctions. The instructions require the business to provide the name of each shareholder. Shareholder names are not required on the official governmental form. The instructions require the names of the directors and the officers, which are also required on the official biennial report. The form then requests a $150 fee, payable by check, money order or credit card. For the fee, the Council will prepare the corporate consent records in lieu of meeting minutes. The form contains a disclaimer, in all capital letters, that the Council is not a government agency and does to have a contract with any government agency to provide the service. We see no reason for you to complete this form. The form is not required by Nebraska law, and we can provide sample annual minutes for your use. You are encouraged to contact us if you have questions about this form.